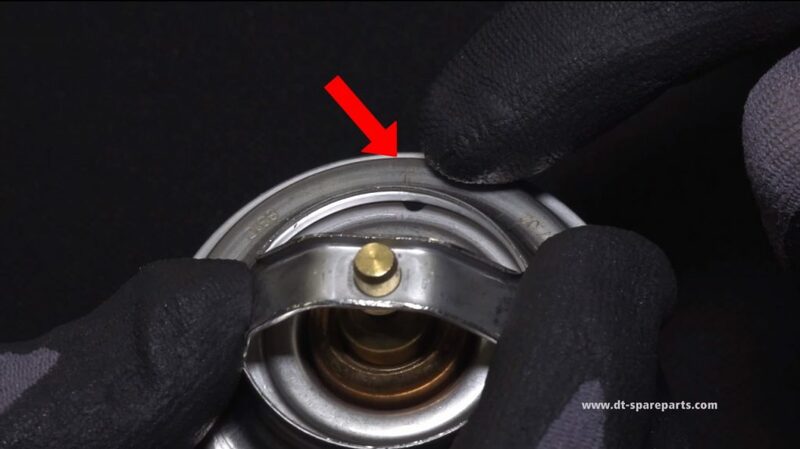 Diesel Technic takes a look at replacing elements of the cooling system, and more specifically in this guide, the water pump. 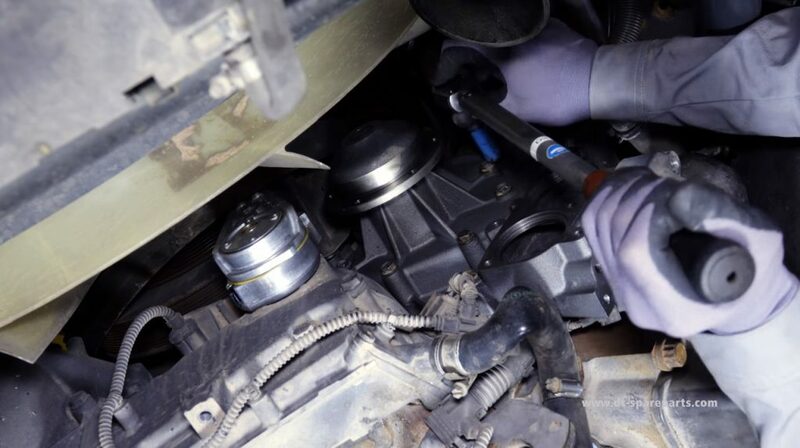 First up, drain the coolant and, at the same time, tip up the cab to get to the coolant pump. Next, take out the air intake, the expansion tank and the cladding. This will enable access to the water pump. 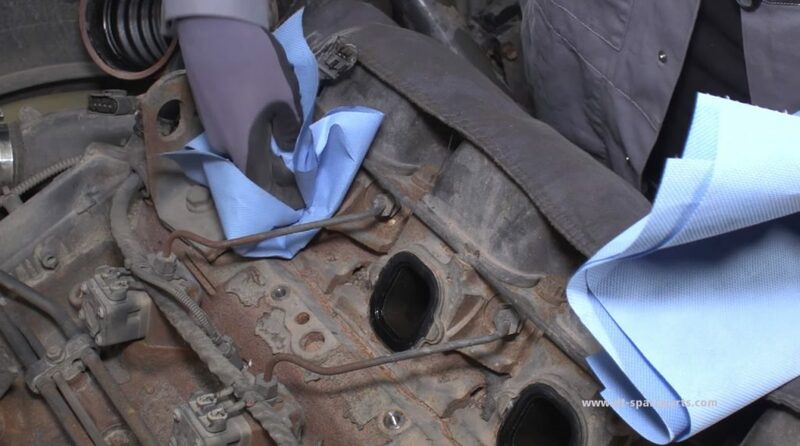 Close off the cylinder heads using cloth, so that no dirt falls out. 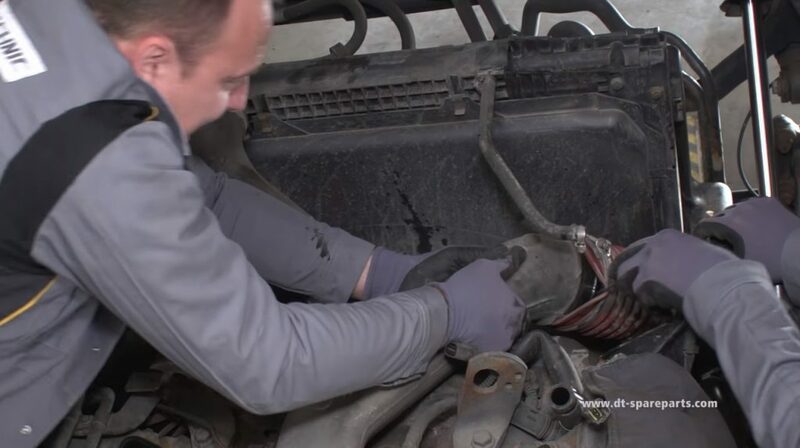 To be able to remove the water pump, it is essential to strip out the thermostat housing, loosen the poly-V belt, take out the pulley and dismantle the coolant connections. All these parts can be replaced at the same time as the new water pump, as required, with products from DT Spare Parts’ range. damaged bearing, so needs to be replaced completely. 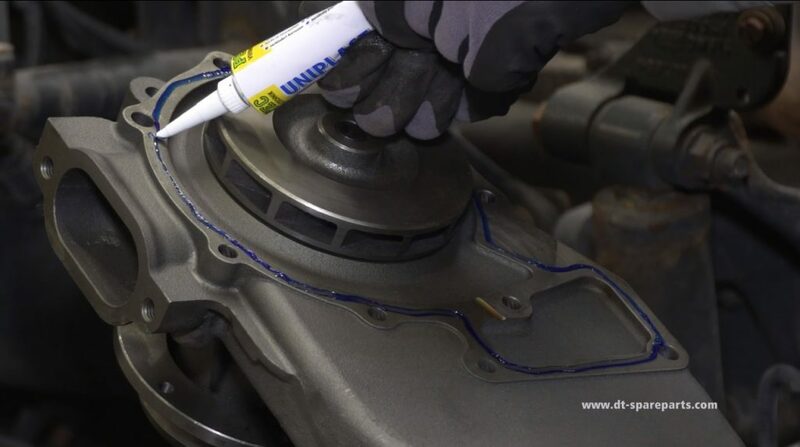 Before reassembling the water pump, it’s important to clean the sealing surfaces, and then to apply additional lubricant to fix and increase the sealing force of the seal. 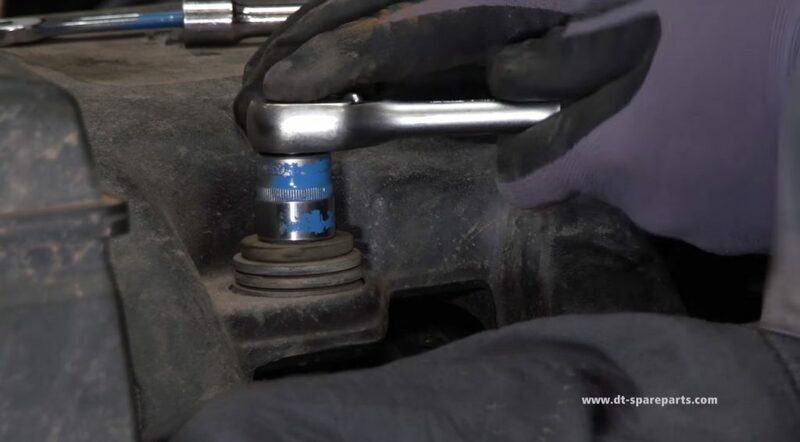 Remember to note the torque at this assembly stage! There is also information provided on the DT thermostat. Firstly, the installation position: the arrow must always point upwards, as the vent hole is found in the upper area. 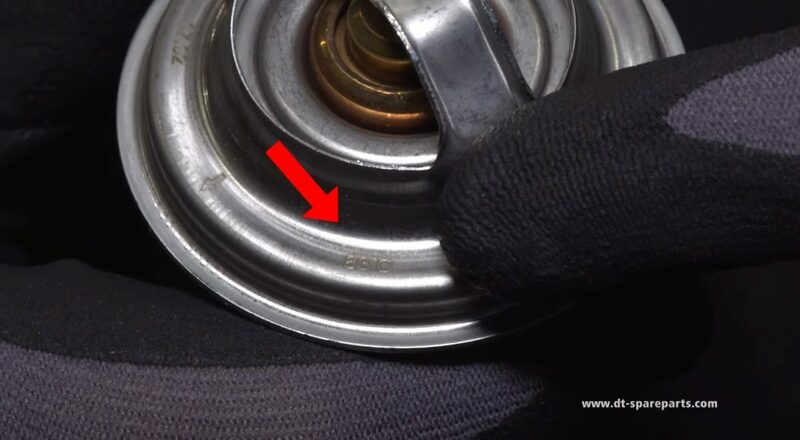 Secondly, the opening temperature of the thermostat is given on the housing; in this case it is 83°C. In the event that the thermostat does not need to be changed as part of an order, the new sealing rings will be with the water pump sealing kit. 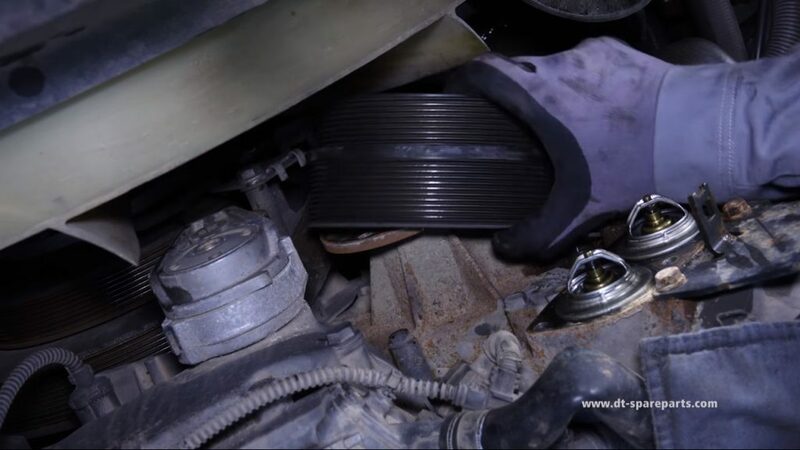 You can find all the important information and tips and tricks on installing the water pump in the installation instructions that come in the box. Now remove the cloths and clean the sealing surfaces, before renewing the seals. 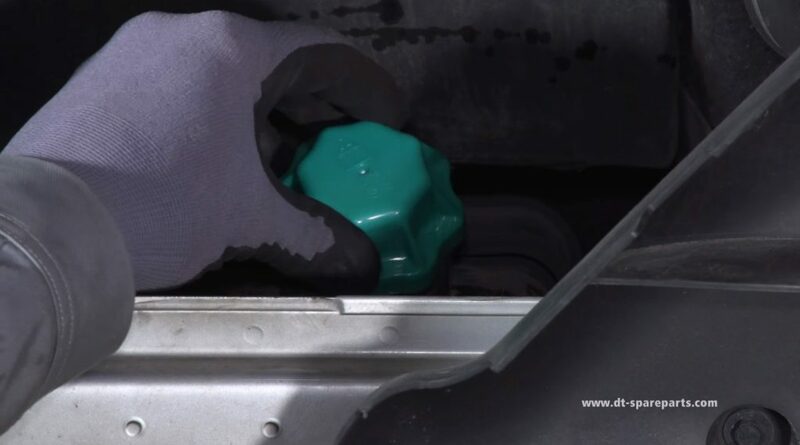 The old coolant can be reused in this case, but it has to be checked for contaminants, and the glycol content, due to the fact the glycol isn’t just anti-freeze protection; it also protects the system from corrosion. 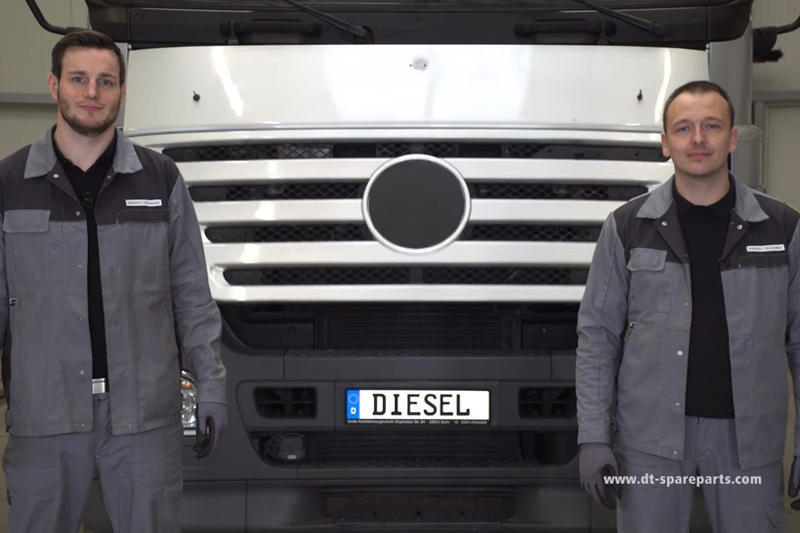 The final step is important, as always: undertake a test drive and leakage check. It is worth noting that DT Spare Parts also offers additional components for the cooling system, which can be replaced as required. 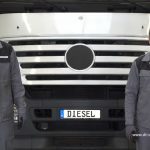 The company offers a complete range of over 35,000 other spare parts.